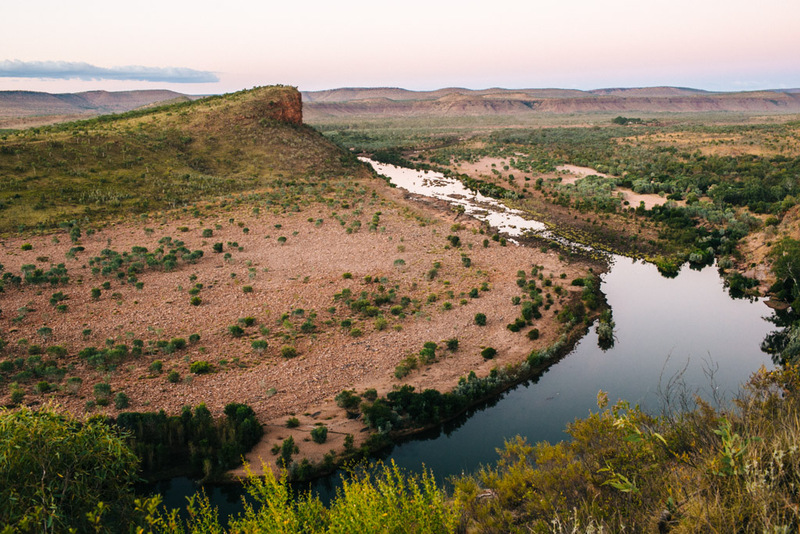 It’s been two months now since I began working at El Questro Wilderness Park in the Kimberley. 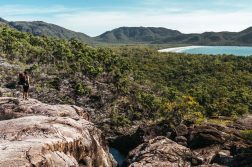 Other than the fact that it was in the Australian Outback and likely rife with myriad outdoor adventures, I knew almost nothing about this place before accepting the job offer. 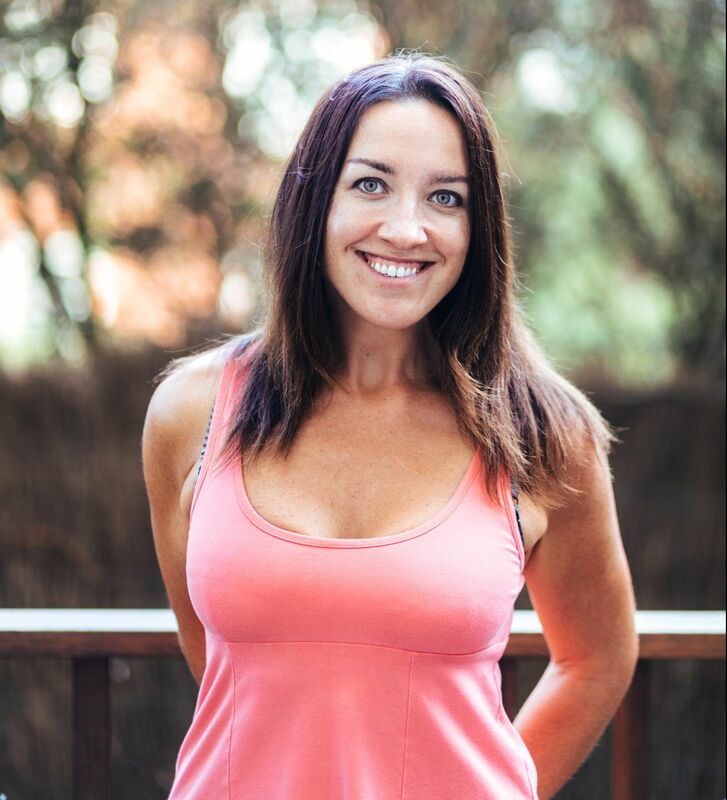 It was one of those instances where you just feel in your gut that it’s right, and so you instinctively take that leap into the unknown without thinking – without researching, planning, deliberating. 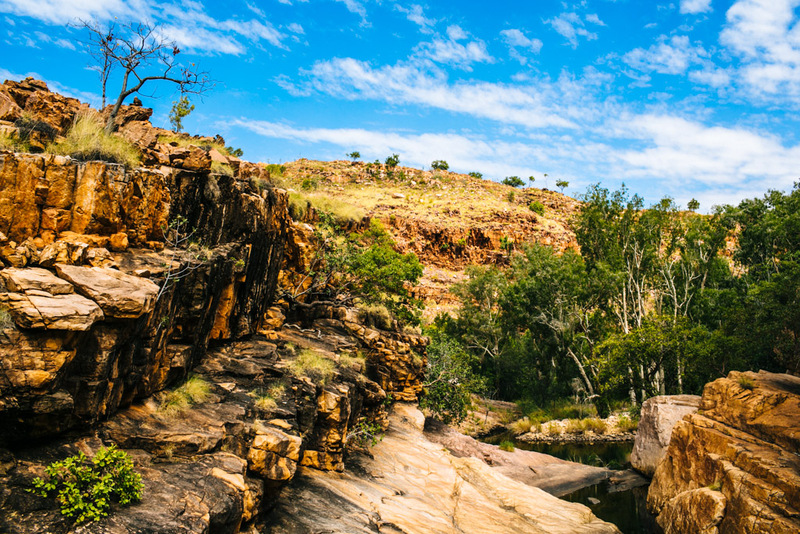 If I had to sum up El Questro in a word, it would be GORGES. 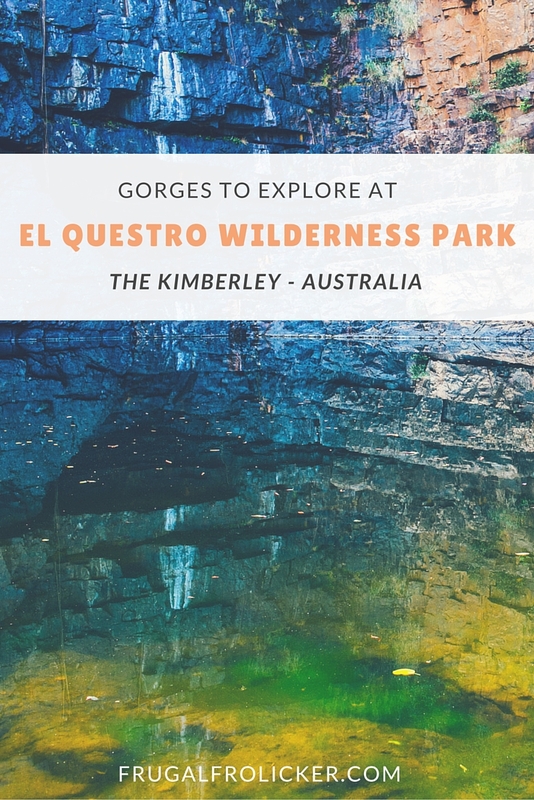 You come to El Questro Wilderness Park to see the gorges: to hike to them, cruise through them, swim in them, marvel at them. 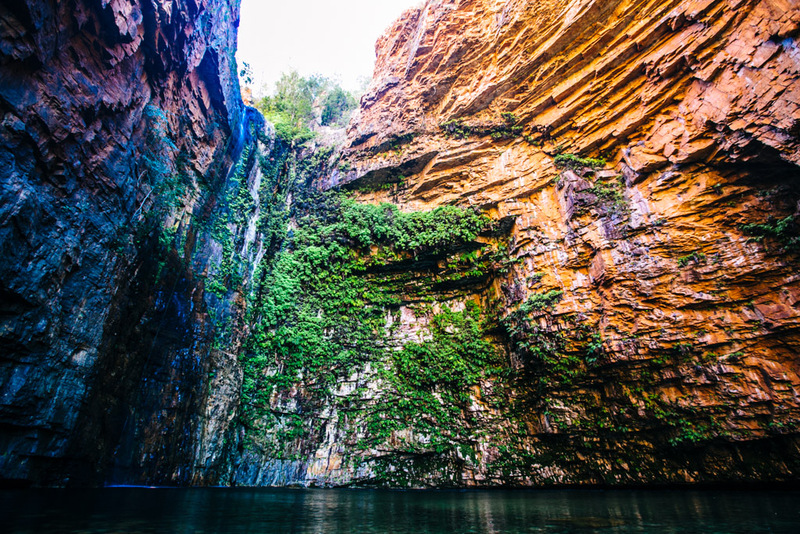 I still maintain that you needn’t do much research before deciding to visit this amazing land, but in case you take to Google: here’s what the gorges at El Questro look like. 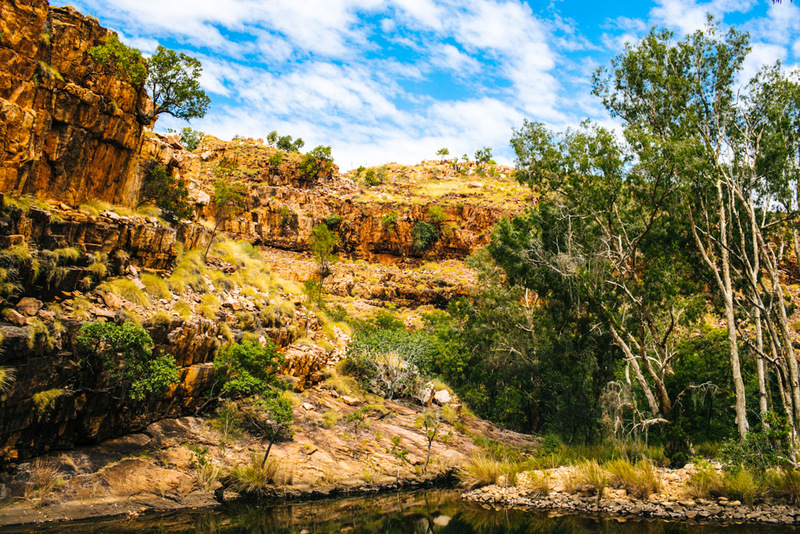 Explosion Gorge is the other gorge at El Questro that requires a boat trip because it can’t really be hiked to. 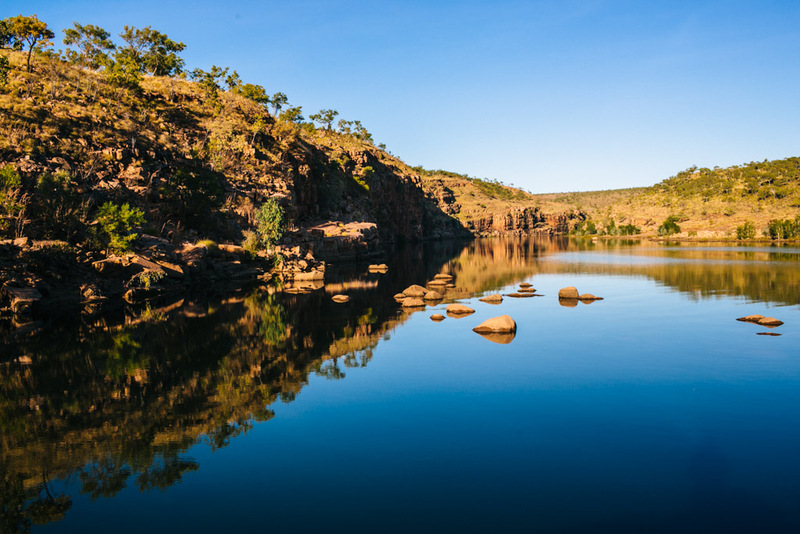 It’s currently run as a joint tour that includes the gorge cruise followed by sunset drinks and snacks at the spectacular Branco’s Lookout nearby. 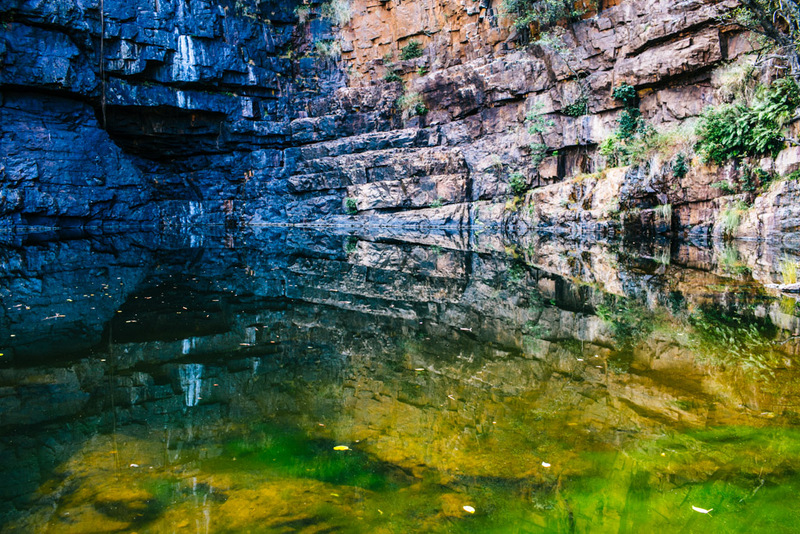 When I first arrived, I asked all my fellow staff for suggestions on what to do first, and almost unanimously they implored me to hop on the Explosion Gorge tour. Between the significantly smaller group size and the more enclosed gorge walls, it felt much more intimate than the Chamberlain Gorge cruise (see above). 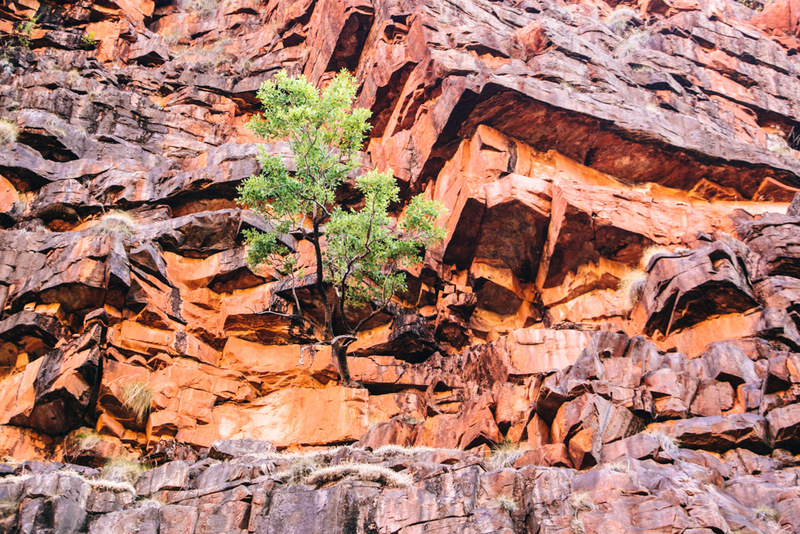 I still remember how it felt to look straight up the gorge, noting the trees growing out of the rock walls and the discolored marks left from when water flowed down them during past wet seasons; to sit in the dinghy in silence observing an exotic native bird launch itself across the gorge. 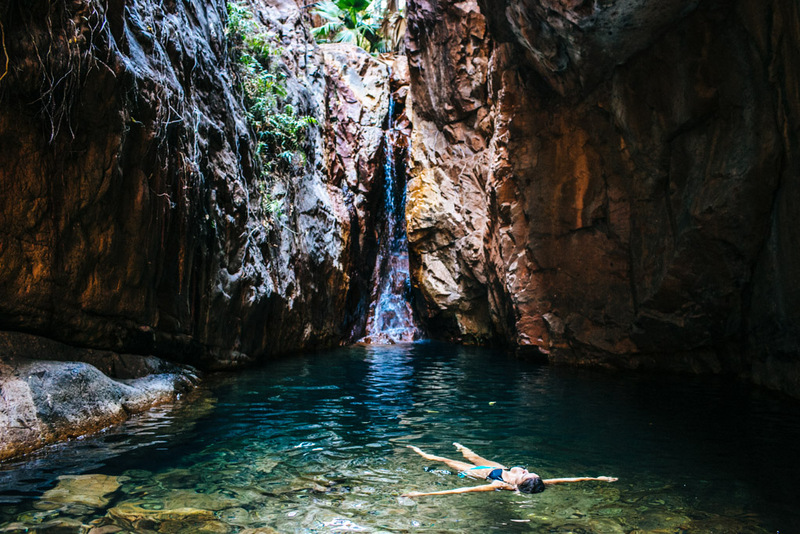 Explosion Gorge is such a special place – if you’re going to splash out for one paid activity at El Questro, this should be it. The cruise wraps up by late afternoon, in time to catch the sunset from Branco’s Lookout. This season there’s been a massive saltwater crocodile hanging out in the river below, though we didn’t spot him when we were there. But man, the view of the river junction below is just unreal, sunset or not. 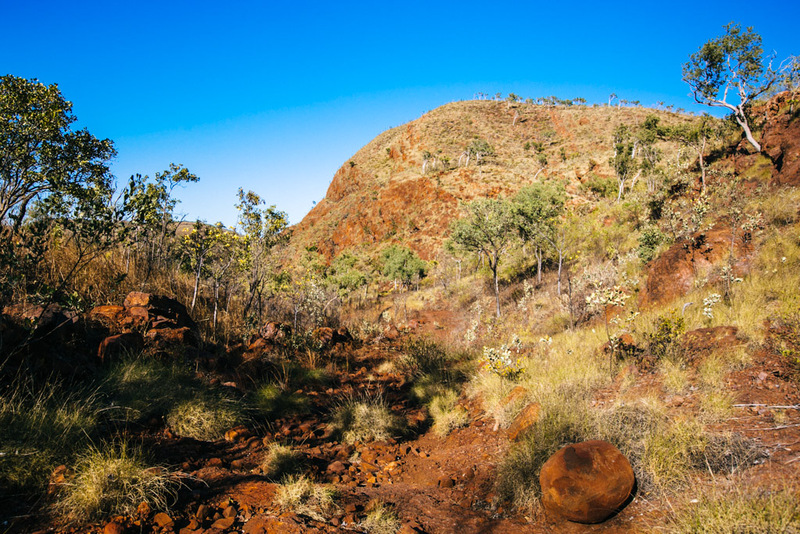 The Moonshine Gorge circuit is the easiest gorge hike at El Questro. There’s minimal incline and hardly any rock scrambling. The only remotely challenging bits are the creek crossings, but even those are pretty easy to tackle, especially later in the season when water levels are low. It may not present much of a physical challenge, but Moonshine makes for a nice little jaunt over the saddle and along the creek amidst the livistona palms. 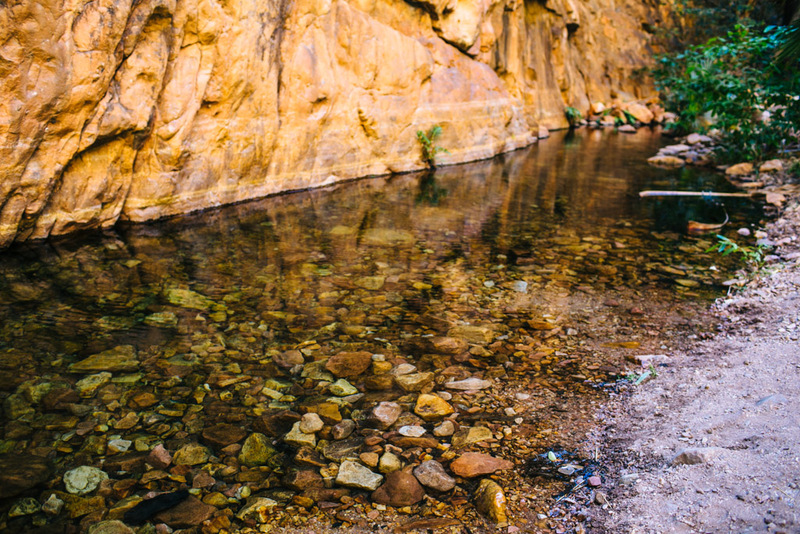 At a steady pace, you could complete the loop in about an hour – but allow more time to enjoy the great swimming holes along the way. 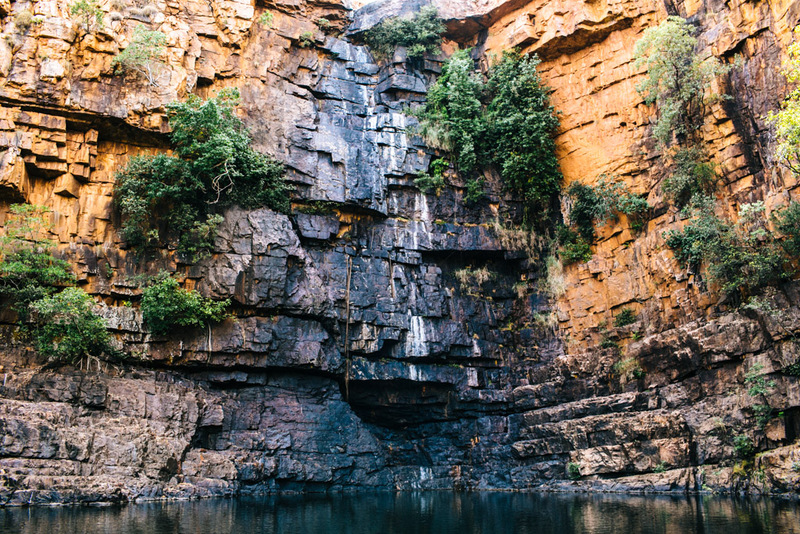 They say Amalia Gorge is best done just after the wet season, while the waterfall is still flowing at the main gorge pool. However, I can vouch for its awesomeness smack in the middle of the dry season. The first half of the trail is quite rocky, but on mostly level ground. 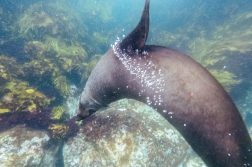 After you reach the first pool, things get a little trickier if you decide to carry on to the main gorge pool. There are a couple points where you need to hug a rock wall in order to get along the trail, which always makes me nervous when I’m carrying my camera bag. But just take your time and it’s totally doable without incident. I think the best part of the whole Amalia Gorge hike is the view you have once you climb up from the first pool and look down on it. In my mind, it’s the picture-perfect Australian frame with just the right proportions of blue, green, and orange. 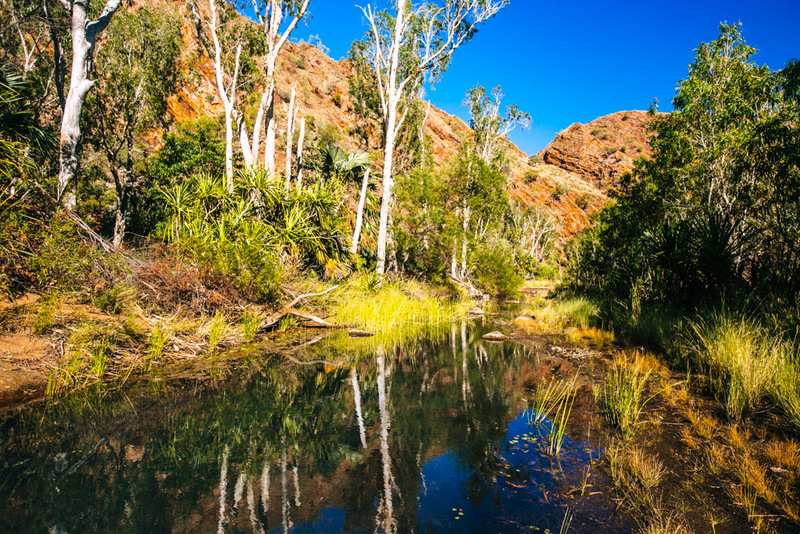 The walk to Amalia Gorge takes about an hour each way; longer if you stop to swim. 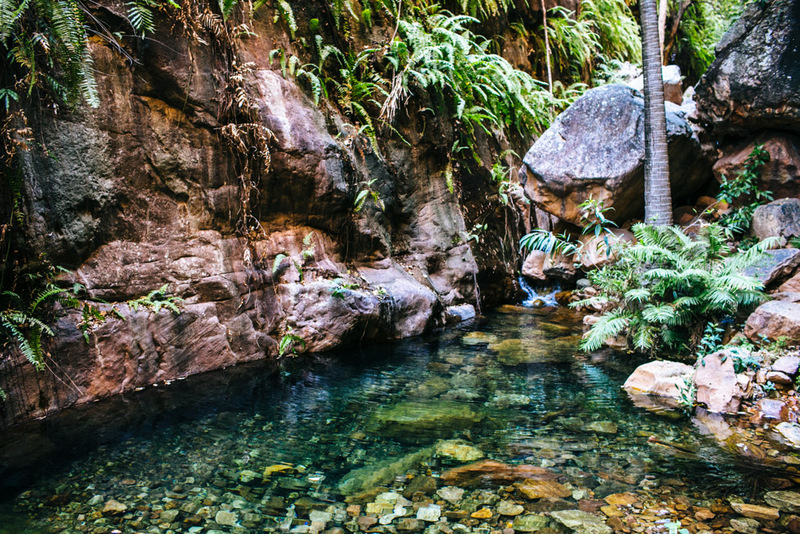 In my experience, the water here is the coldest of any gorge pools at El Questro – and it’s also got some funky-looking green stuff on the surface in some parts. Maybe not too appealing for a swim, but I think it added a little something to my photos. 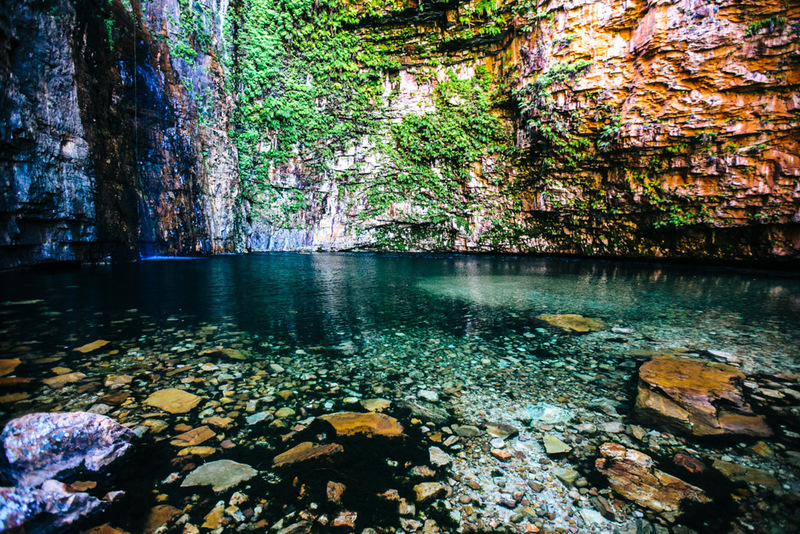 No matter how cold the pool is, you’ll want to swim across to the waterfall at the other end, if only to be able to lay on your back and look straight up at the gorge walls. I had one of those rare *holy f$&% am I really here right now? * moments doing just this. 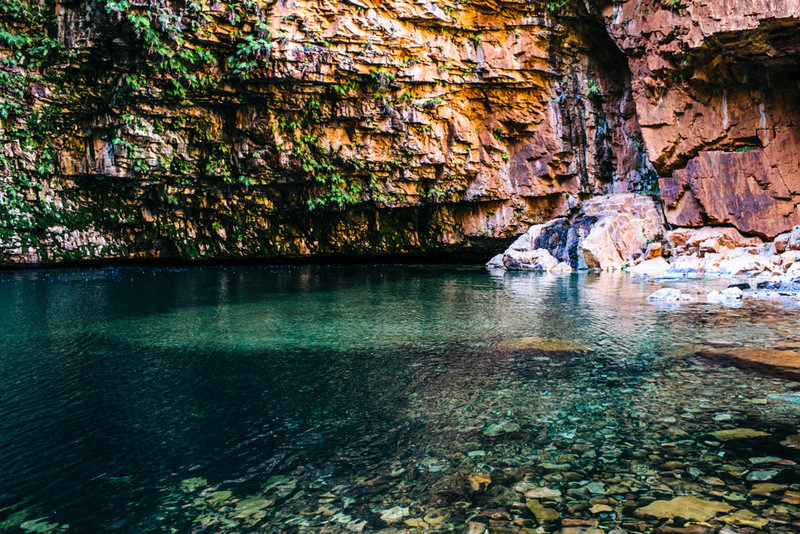 You can admire it standing on the edge of the pool, but you really feel the magic of Emma Gorge when you’re in the middle of it. Pro tip: be sure to swim behind the boulders on the immediate right side of the pool. Because HOT SPRINGS. One time I hiked to Emma and there were hoards of people there but zero of them knew about the lovely bath-like water behind these rocks. The walk to Emma is quick and rocky: it’ll take about a half hour if you’re fit and don’t stop along the way, but much longer if you want to take the rocks slowly. 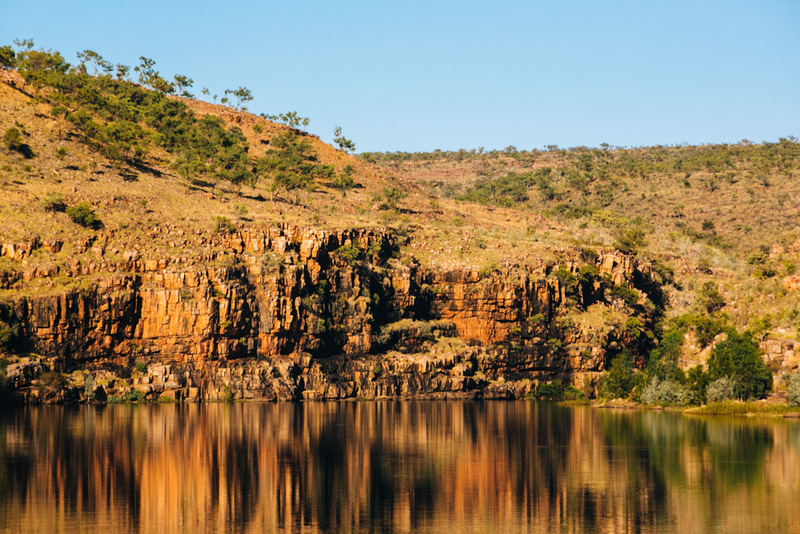 Aim to arrive at the gorge as early as you can because come 9am, families and tour groups will invade. 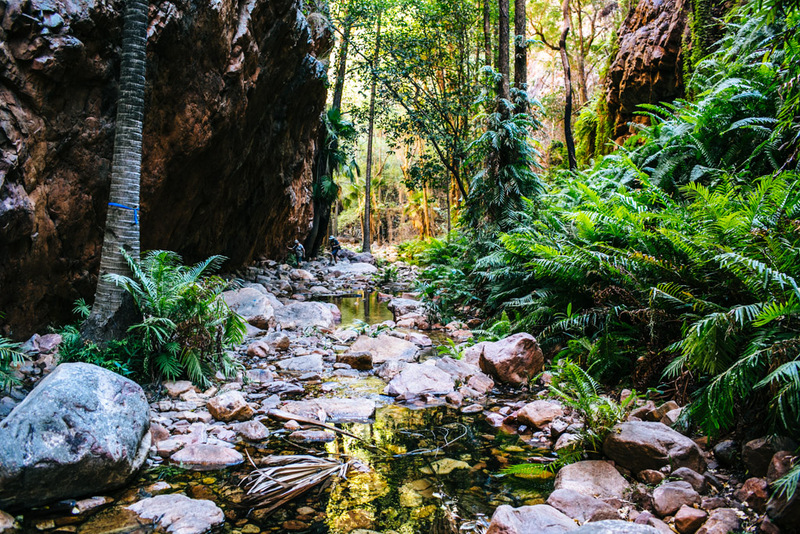 The hike to El Questro Gorge is the most difficult of all the recommended walks at El Questro. 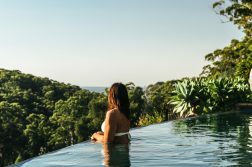 Those who aren’t up for such a challenge can opt to hike only to the Halfway Pool (1.5-2 hours return) – this part’s a cinch, and doesn’t require an exceptional level of fitness. But I promise you, the second half of this hike is well worth the effort. 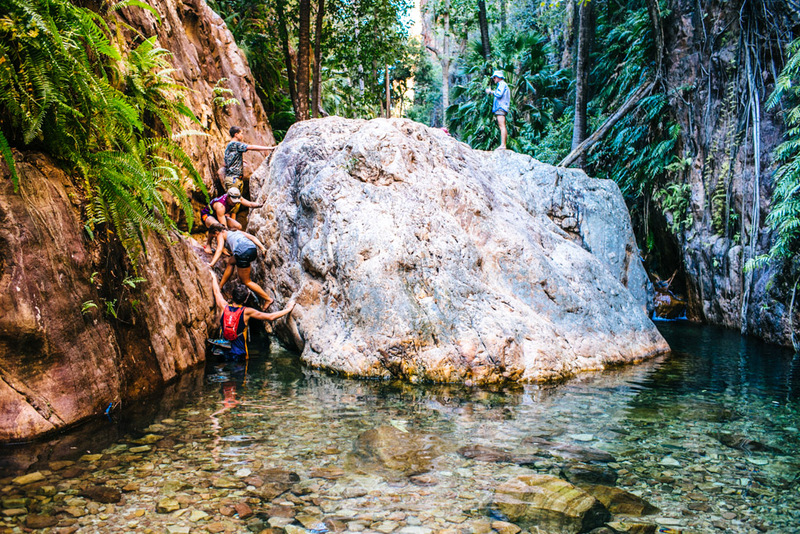 You’ll start off by crossing the Halfway Pool in waist-deep water, then shimmying your way up the boulder to get back onto the trail. Sounds daunting, right? But you’ll be totally fine if you take it slow, keep your electronics in a dry bag, and hold your backpack above the water as you cross the pool. It helps if you have someone to pass your bag to once you get to the boulder, that way you can climb up with free hands. Or, you can just toss your bag up onto it and then climb. 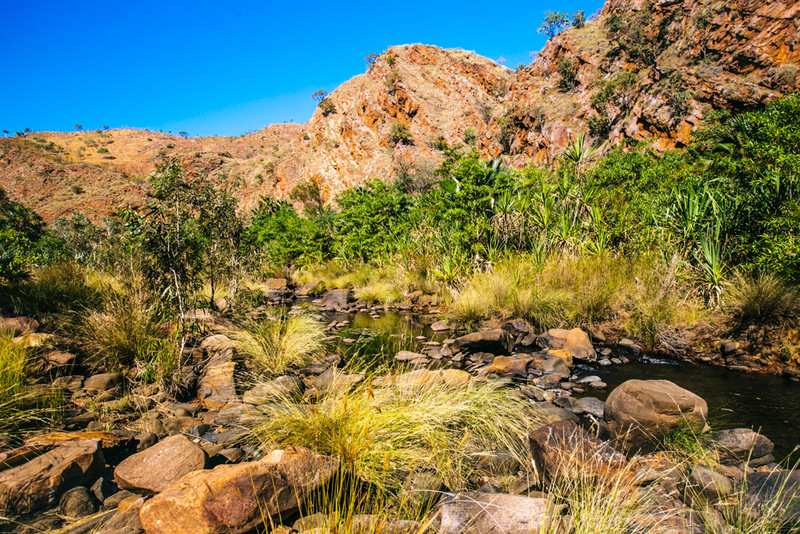 The second half of the El Questro Gorge trail follows the creek through the gorge. Some parts of it are straight rock scrambling, with no footpath to be found. Just follow the trail markers and you’ll find your way okay. But really, though: this part of the trail is SO ROCKY. 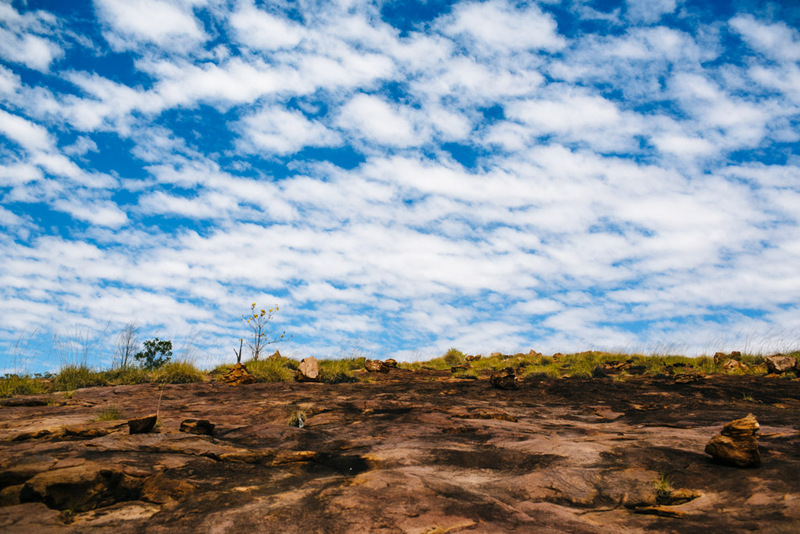 You will be climbing boulders and hopping across rocks for most of the way. Shoes with good traction and ankle support are a must. 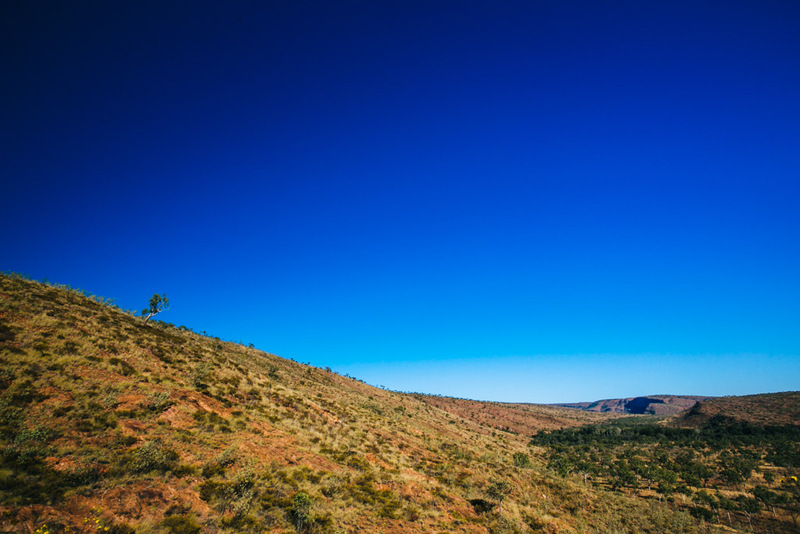 If you’re a seasoned hiker and/or rock climber, it’ll feel like a playground. All this effort will be worth it once you reach Mac Micking Pool at the end. It’s small, clear, blue, cold but not freezing – and there’s a good chance you’ll have it all to yourself. 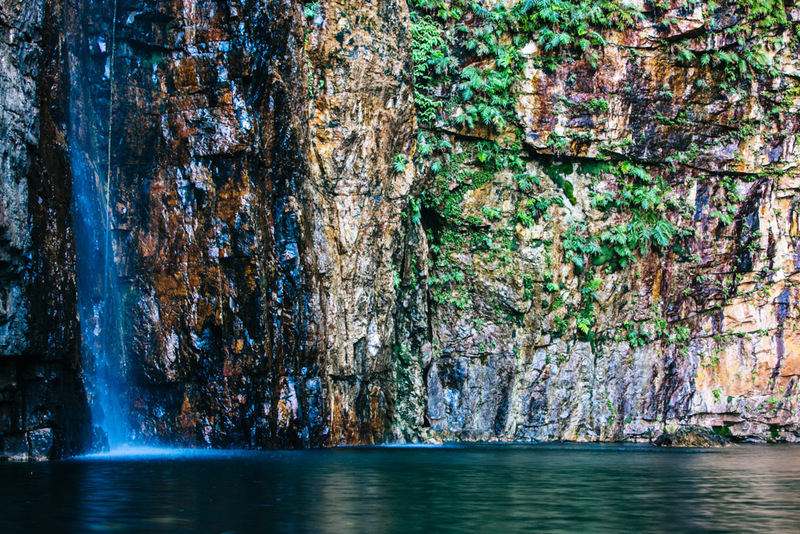 Highly recommend swimming out to the waterfall and jumping into the pool from the rocks below it. 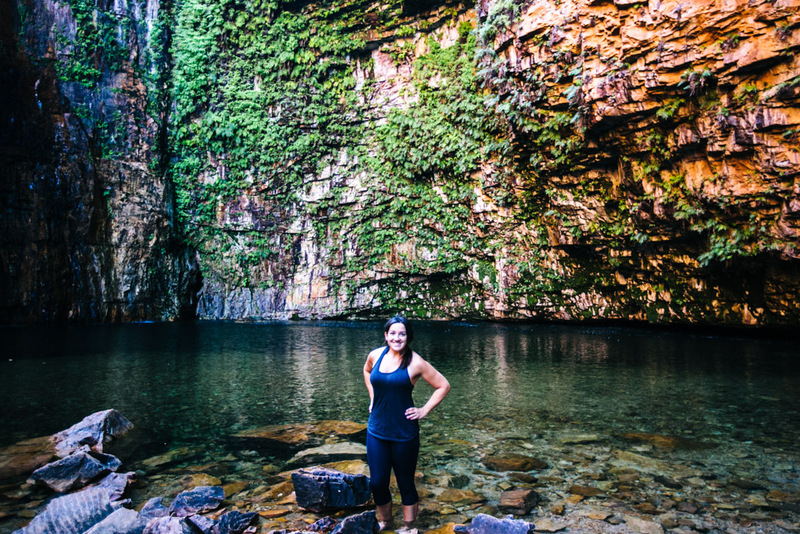 The entire El Questro walk should take 4.5-5 hours return, excluding stops and swims. 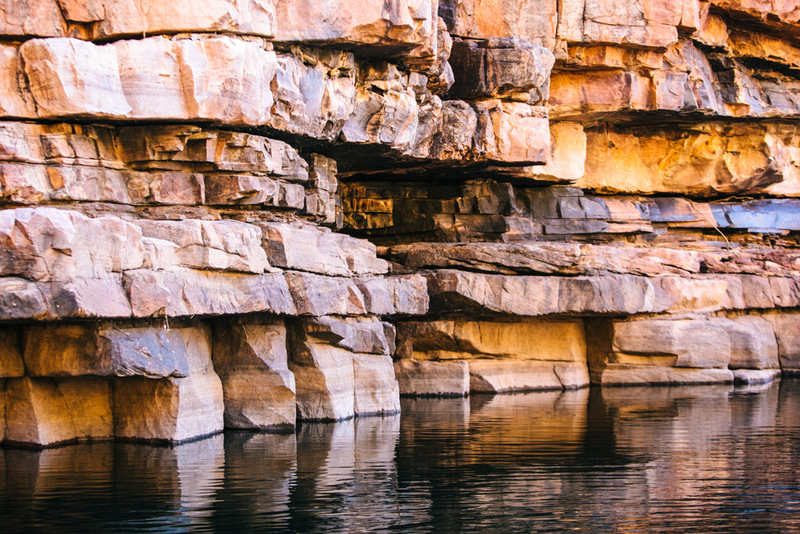 Note that I toured these gorges free of charge as a staff member at El Questro Wilderness Park. 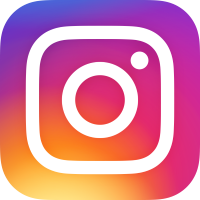 The opinions expressed in this blog post do not reflect those of Delaware North – as per usual, they are solely my own. 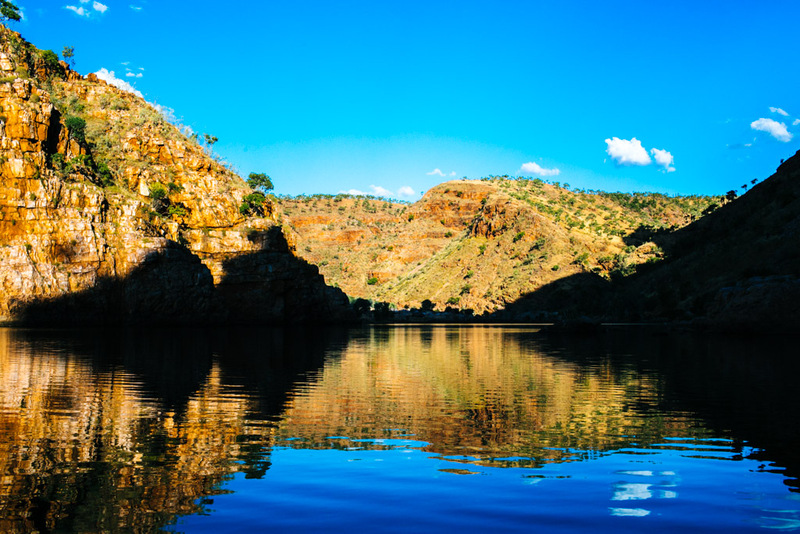 Chamberlain Gorge – the cruise costs AU$65 and lasts about 1.5 hours. 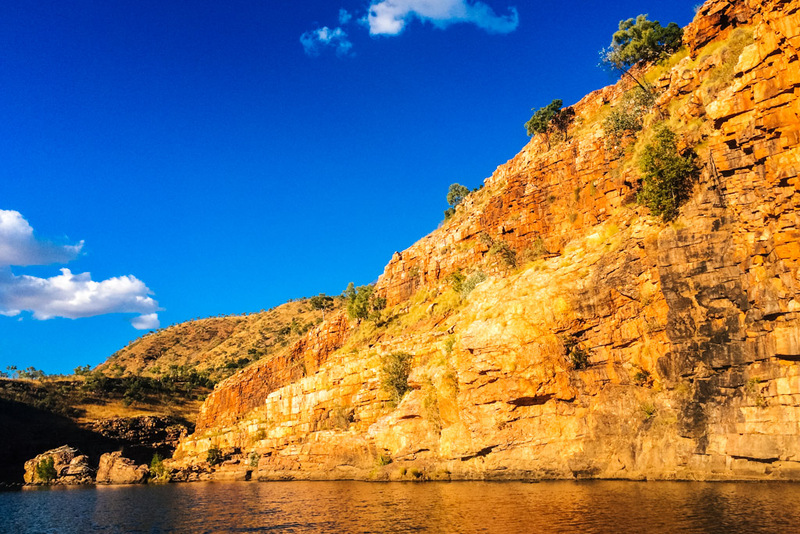 Explosion Gorge – the joint cruise and sunset tour costs AU$130 and lasts about 4 hours. 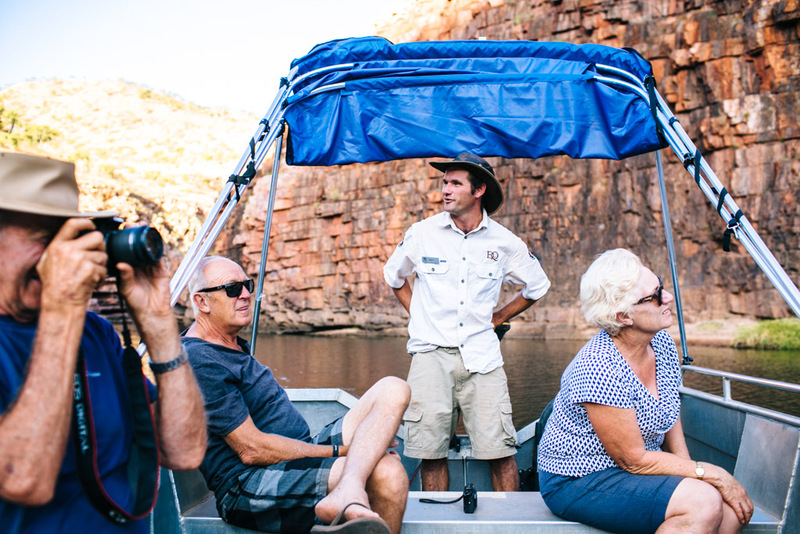 Note that you can also hire a boat to tour these gorges independently. 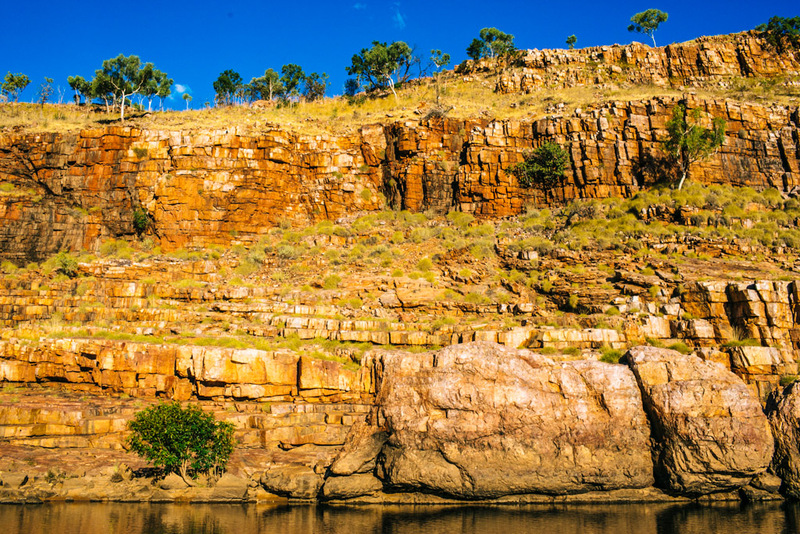 The other gorges mentioned here can be toured independently on foot, or by booking a tour or gorge walk. Prices/availability vary by gorge, demand, and season.